Running for office is different. Actually, the running part isn’t all that difficult, if you have inexhaustible energy. The hard part is governing. I suspect Donald Trump has been finding that out; he’s gone back on the campaign trail, a mere three-plus years before the next presidential election. Of course, there are many other elections before that. I offered a somewhat grumpy commentary nearly two months ago when former State Senator Gretchen Whitmer announced she was running for governor next year. I thought she ought to wait till the winners of last year’s election took office before campaigning for the next one. In retrospect, I was probably too hard on Whitmer, given that Attorney General Bill Schuette has also been running for governor; he just hasn’t admitted it. That election, however, is more than a year and a half away. There are people out there who don’t yet know each other who will get married and have a baby before that. This year, however, we have a flood of mayor’s races, including Detroit’s. Traditionally, when someone runs for office, journalists report what they say they would do. We look into their backgrounds for criminal or financial misbehavior. But what we don’t do enough is to look for evidence that they have the skills needed to govern. That means working with people who don’t necessarily think like you to get things done. That takes a certain kind of personality, patience and skill. For example, State Senator Steve Bieda, a term-limited Democrat from Warren, worked for years to convince Republicans to support his bill providing for compensation for those who were wrongly convicted and eventually exonerated. Finally, he got it signed into law late last year. That’s quite an achievement given the fact that the Democrats are only a small minority in the Senate. Sadly, legislators like that are increasingly rare, given term limits. Building trust and relationships takes time. There’s a lot of excitement in Detroit just now because State Senator Coleman Young HAS announced he will challenge Mayor Mike Duggan this fall. Much of the coverage so far has centered on what people think of the original Coleman Young’s legacy. I think that doesn’t make any sense. He’s been dead for twenty years. The son was originally named Joel Loving; he grew up in California, and for a while the mayor did not admit to being his father. While he later developed a relationship with his dad, the first Coleman left office when the current candidate was 11 and died when he was 15. What Detroit voters need to ask is what evidence is there that the state senator could effectively govern the city. Being an executive is a vastly different job from a legislator. If we kept that in mind with all our elections, we might be better off. Can the governor rise to the occasion? Nobody can deny that Governor Rick Snyder is an intelligent and hard-working man. He came from very modest circumstances to earn three degrees, including an MBA and a law degree, from the University of Michigan by the time he was 24. 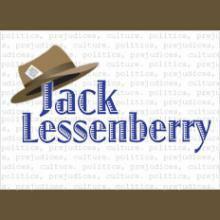 Stateside's conversation with Jack Lessenberry, Michigan Radio's senior news analyst. Mike Ilitch certainly left his mark on downtown Detroit, beginning with the major renovation of the Fox Theatre in 1988 and continuing to this day with the ongoing construction of Little Caesars Arena for the Red Wings and the Pistons. There are those who found a lot to criticize in the way the Ilitch family acquired downtown property, maintained that property, and financed its arenas. 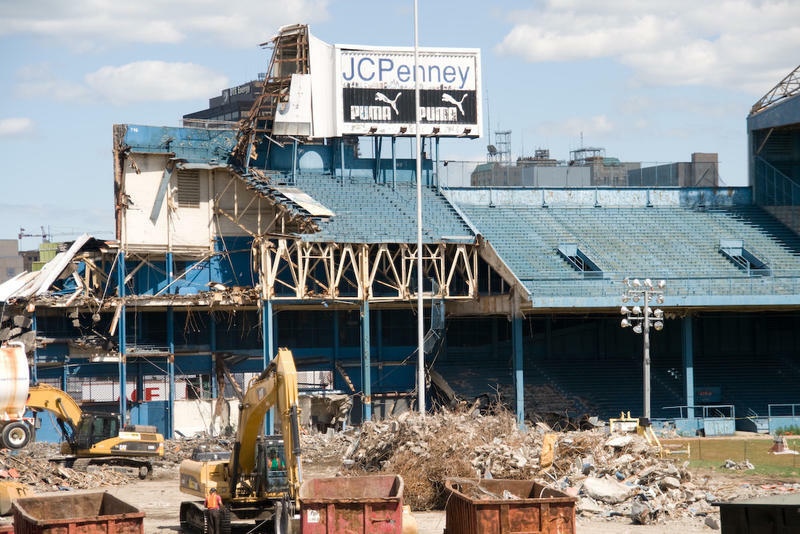 Michigan Radio's senior news analyst Jack Lessenberry joined Stateside to talk about Ilitch's legacy when it comes to the business side of his life and what he did for the city of Detroit.